The Past and Coming Melt is a solo exhibition by Koh Nguang How. Koh Nguang How has developed significant influence for his itinerant archive, a project of print accumulation that amassed news clippings, print ephemera, catalogues and artist documentation over nearly four decades. This is matched by a remarkable correspondence with his recollection of errata, corrections and amendments to the art historical records as manifest in museum publications and academic journals. What is less known are Koh’s performative installation and photographs that situates him as a pioneer of environmentally engaged art, an eco-sensitive practice that draws attention to ozone depletion, global warming and climate change. 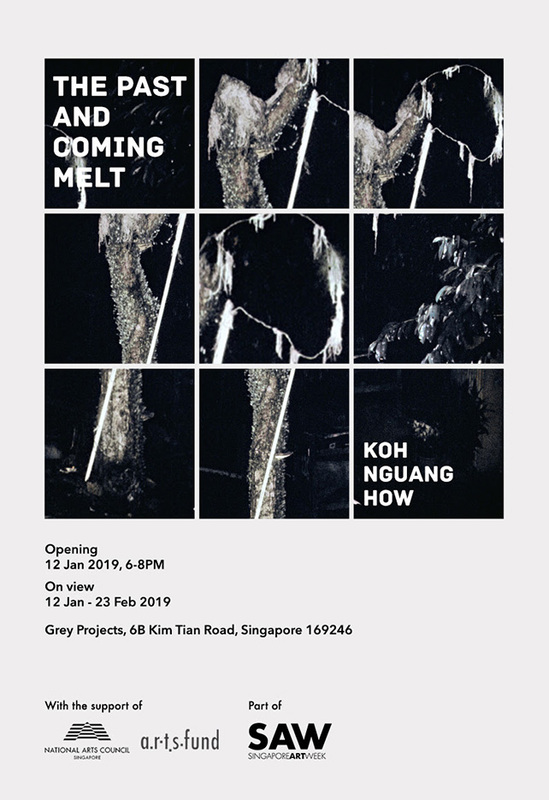 The Past and Coming Melt is a new presentation by Grey Projects that draws crucial attention on this little-written aspect of Koh’s practice, arguing for Koh as a crucial, early artistic position on some of the most pressing environmental crises and traumas of our day. The exhibition includes archival as well as new recreations of previously destroyed or unavailable work and material.